There are many reasons of dog bad breath. First off it is periodontal disease. Studies show that after the age of 3 years, 8o % of dogs have the symptoms of periodontal disease. The bacteria existed in the mouth as the plaque cause this disease. It leads to tooth loss and the damage to the organs like liver and kidney. Teething is also another reason of bad breath. The bacteria collected at the baby teeth and replace it the adult teeth. A gastrointestinal disease that happens in the stomach, intestines also cause bad breath. Kidney disease is also another cause of bad breath. The end-stage process of this disease cause a sour-smelling breath. 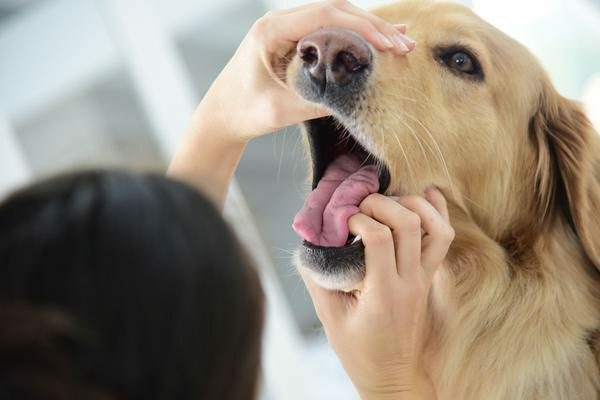 It is very important to take your pet to the vet to make an oral exam to discover the cause of the bad breath and advise you what to do to overcome this problem, so making a visit to your vet is considered a necessity in the case of the bad breath of your dog. The professionals are able to determine the way of dealing with the dental disease. 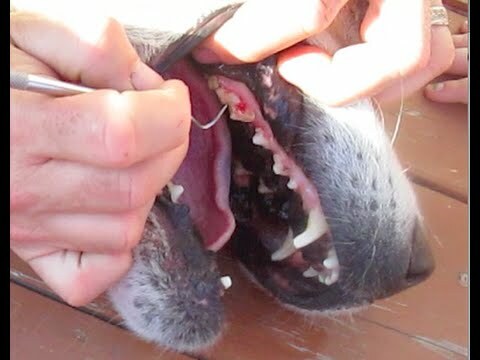 It is very important for older age animals to remove the teeth that is considered the source of pain. The upper teeth are the most painful. Your pet will feel much better after removing its painful teeth. Also used clean equipment to smooth, polish the teeth and remove the plaque. Your pet’s breath will be better after the care of the professional vet of its teeth. You should brush your pet’s teeth regularly to remove the plaque and keep your dog teeth clean. 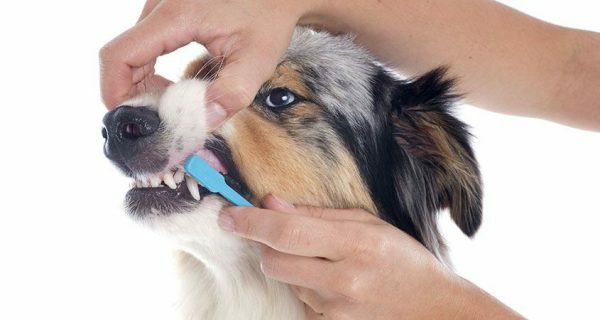 You should start brushing your pet’s teeth from being young to be used to it, and avoid the dental diseases in the future. 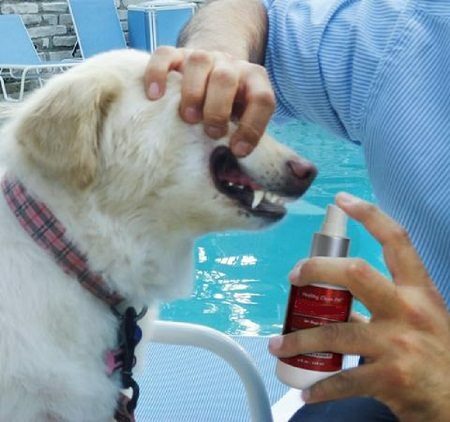 Your vet should recommend a plaque enzyme toothpaste for your dog.use a toothbrush for your pet to distribute the toothpaste that is considered the best way to attack the soft plaque in your pet’s teeth. 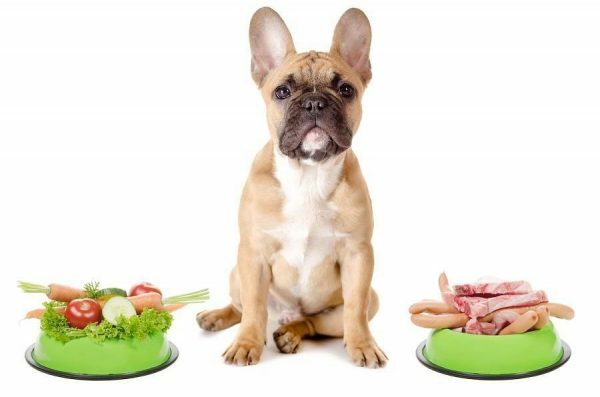 Following a dental healthy diet is considered a necessity for your pet. This will improve your dog’s breath. Consult your vet to inform you about the dental, healthy diet that is considered suitable for your pet. The process of chewing removes the plaque from your pet’s teeth. 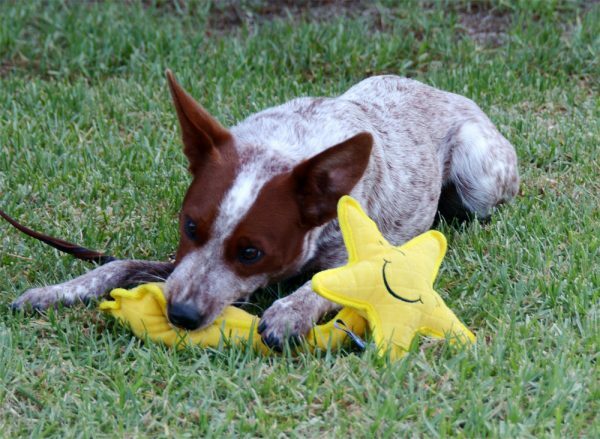 The veterinary oral health council puts a list of products that are healthy to chew for your dog. 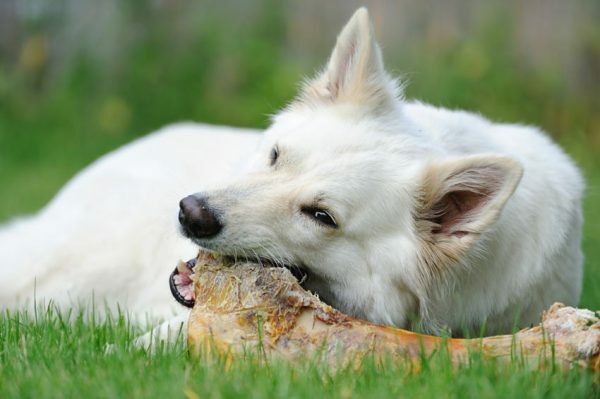 Animal bones are considered so hard for your pet to chew, so veterinary dentists prevent your dog from chewing it. There are a lot of products that contain chlorhexidine as foaming washes and sprays. They are a good way to keep your pet’s teeth clean. The vet used them as well. 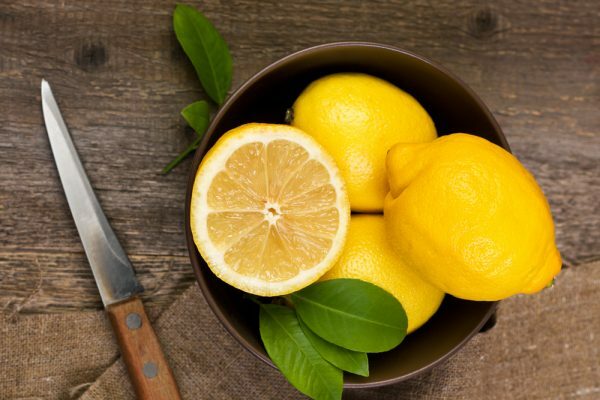 Adding lemon to your pet’s water bowl is considered one of the natural remedies. 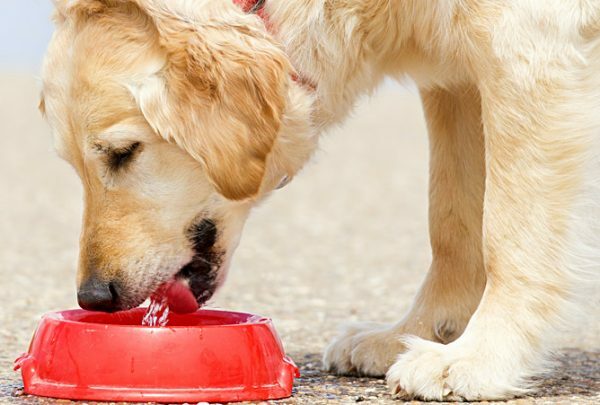 You should add lemon to your dog’s water bowl in the morning to clean and freshen their breath. You should not add too much lemon to the water as it will make it taste seems no better. Using water additive freshen your dog’s breath, but we cannot replace it with the toothbrush. 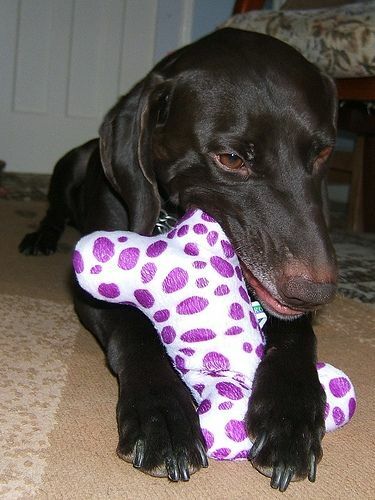 Your dog and his chew toy are connected to each other. You should put some toothpaste on his chew toy. 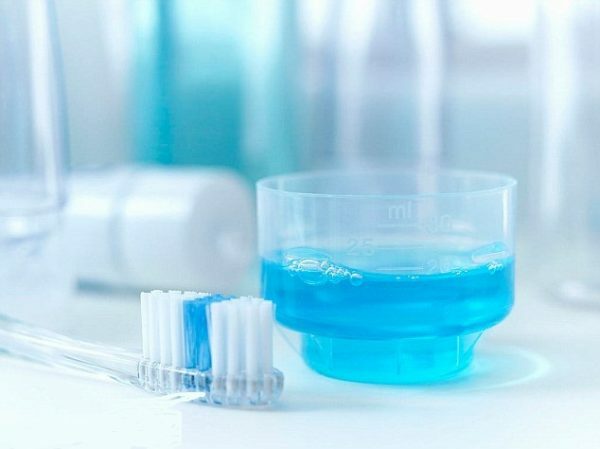 This will make your pet become used to toothpaste. 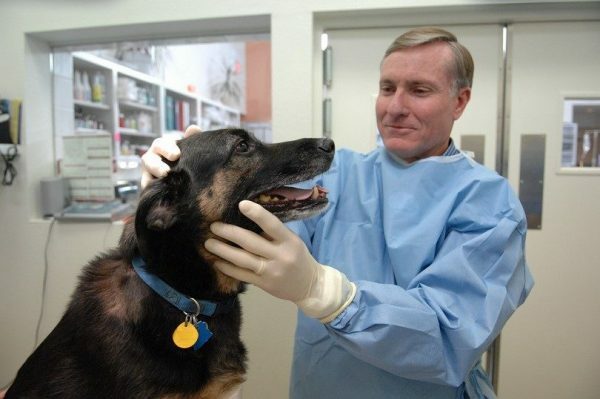 When you take your dog to the veterinarian, there are some things the doctor should do. the first thing. Your vet will ask you about the history of bad breath of your dog. There must be also a physical examination of the whole body of your pet. There must be a dental cleaning to treat bad breath of your dog. In addition to professional dental cleaning, there must be at-home care for your pet to avoid bad breath for your dog. The time is running out. Thinks about these foods your dog shouldn't eat.